A loan of $825 helped to buy baby chicks to raise and sell. Editor, 30, is married with three school-age children. 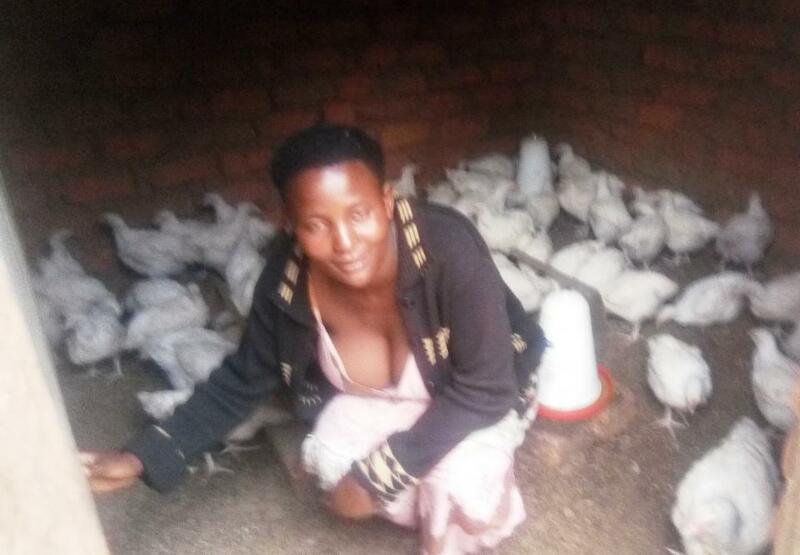 She is a poultry farmer and this is the main source of income she uses to support her family. She also grows bananas to supplement her income and to ensure a food supply at home. In preparation of the coming festive season, Editor has applied for a loan of 3,000,000 UGX to buy baby chicks to raise and sell. She is hopeful that the birds will be ready to sell by December. She will use the profits to better her family's livelihood and to pay her children's school fees for the new school term. Editor is grateful for the help and thanks Kiva and its partners for the support. It helps rural farmers to increase productivity and their income. By supporting this loan, you're helping a farmer to increase productivity in the agricultural value chain and provide for their family. This loan will likely be used to purchase farm inputs such as fertilizer and seeds. UGAFODE complements Kiva's mission to extend financial services to rural, underserved communities. They offer loan products that are designed to meet the needs of low-income clients, especially agriculture and flexible housing loans. Kiva is in a unique position to fund these innovative products and extend them to even more people.